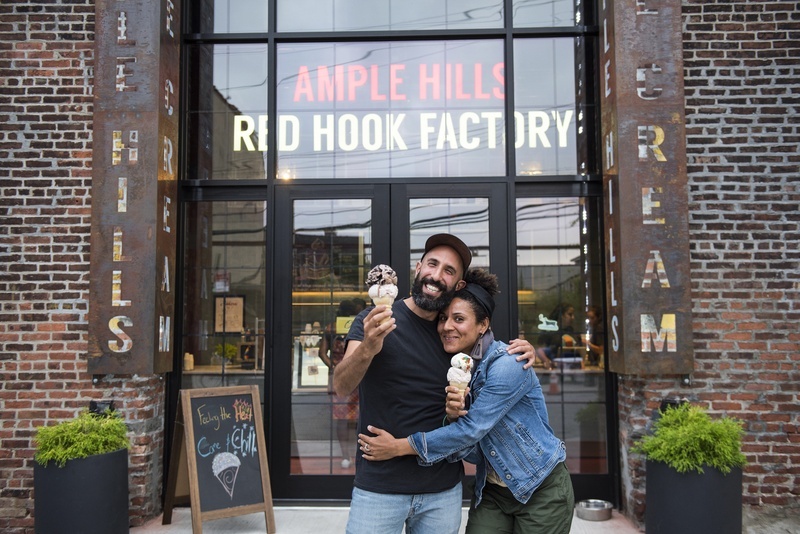 When planning the new factory, Ample Hills Creamery decided to go beyond just creating a place to make its product: they wanted to welcome visitors into the narrative of how and why they make ice cream and highlight the company’s deep connection to Brooklyn. This focus on storytelling and social engagement was a perfect fit for the C&G Partners mission—design for culture—focused on creating experiences that build communities and consensus. 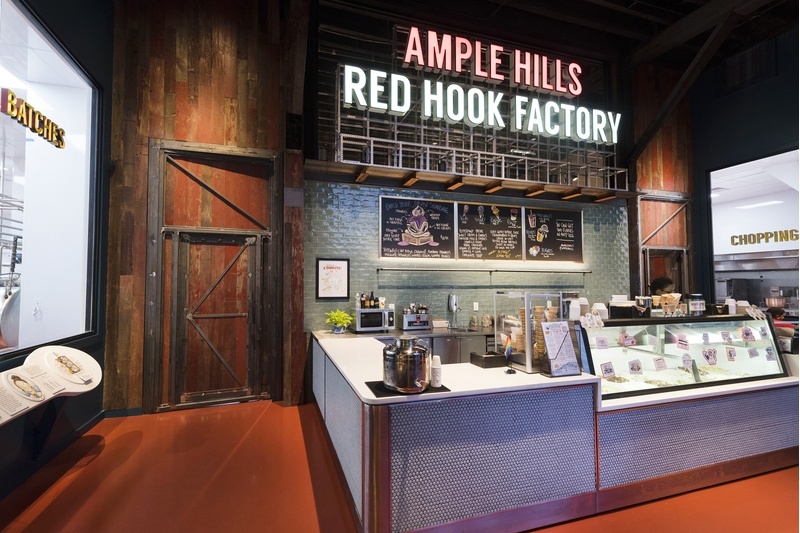 Entering the factory, the space opens onto the central dipping counter, crowned with a colorful Ample Hills Creamery gantry sign reflective of Brooklyn’s iconic rooftop signage typologies such as the neighboring Kentile Floors factory in Gowanus. A miniature trolley runs across it, harkening back to Red Hook’s original train line. 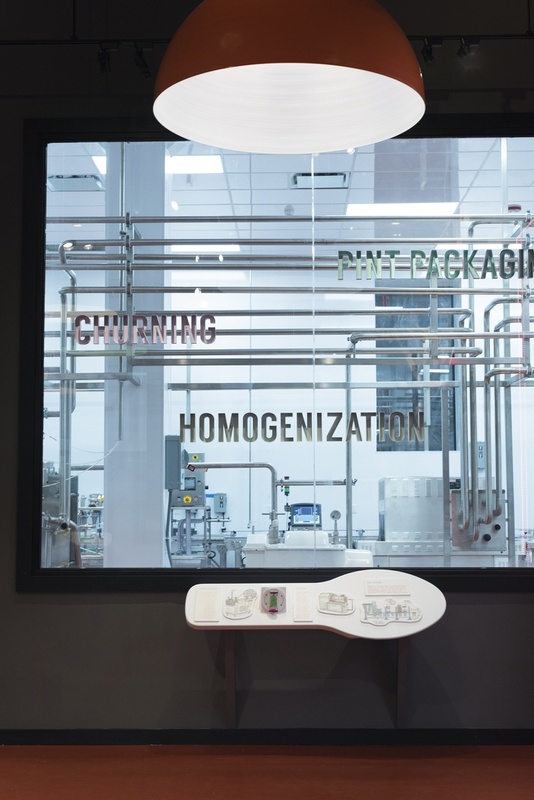 Behind this retail space, the ice cream museum area features numerous interactive elements and design details centered around a self-guided plant tour. 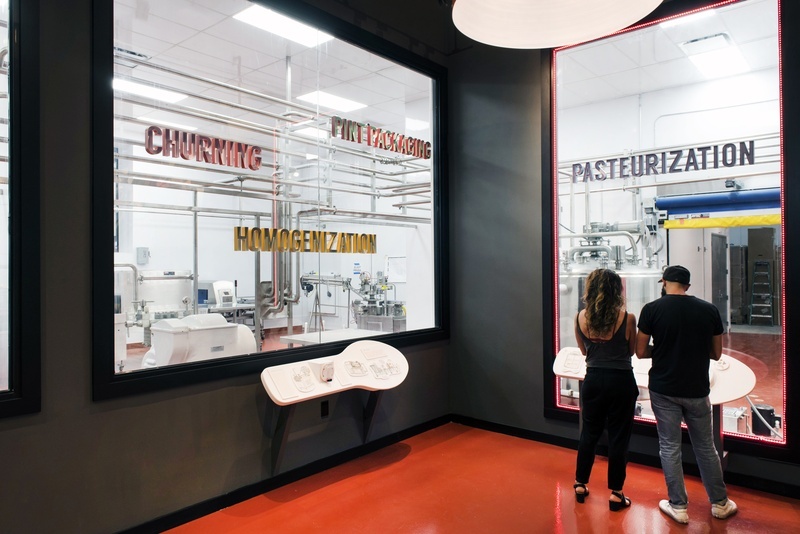 With observational views onto the factory floor, C&G Partners created tour stops along the ice cream making process from homogenization to small batch making. Floor-to-ceiling observation windows serve as look-in points, flanking each step of the ice cream making process. 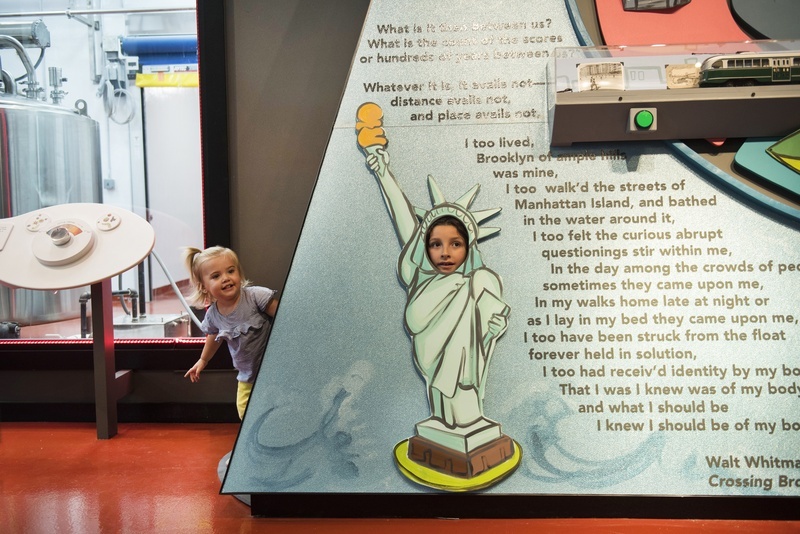 Each station is accompanied by interactive displays with interpretive panels and analog interactives that tell stories in order to bring the experience to life. These include a station where visitors can smell different flavors, and a thermometer knob at the pasteurization window. The display stations are shaped to match the signature spoons in the lids of Ample Hills pints, with each five-foot-long “spoon” offering hands-on participation. Custom-made overhead light fixtures in the museum area resemble downward-facing oversized ice cream scoops. An ice cream color palette is used for the outer side of the scoop lights, as well as back wall and window lettering. 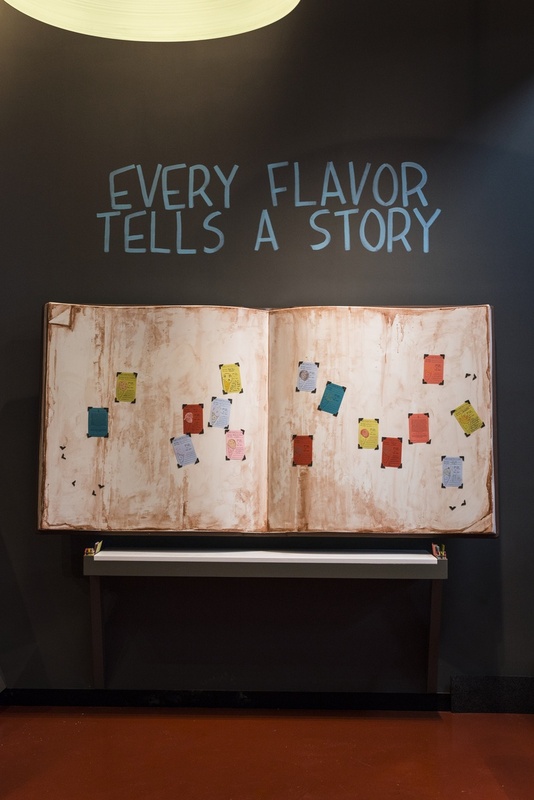 Visitor engagement is further emphasized through the “Every Flavor Tells a Story” magnetic scrapbook, an 8 ft. wide, metallic book which uses magnets to allow ice cream lovers to secure their favorite Ample Hills Creamery memorabilia and contribute new flavor ideas and photographs. 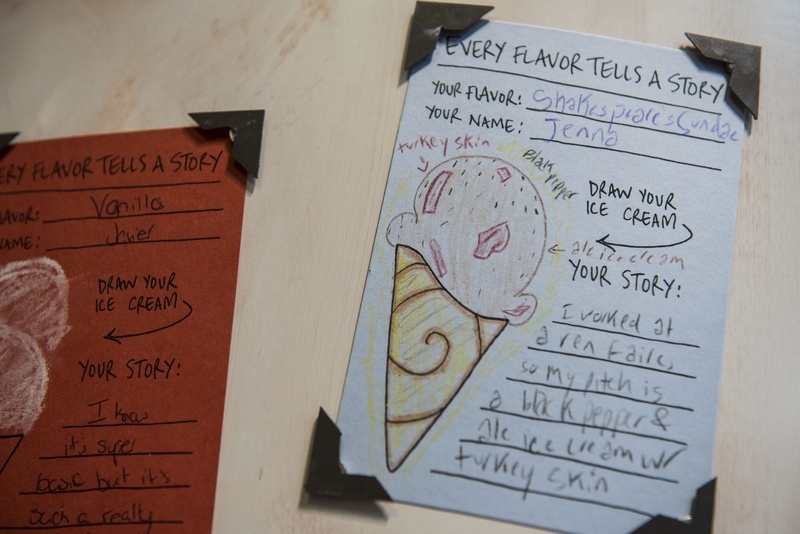 Visitors are encouraged to tell their life’s story as an ice cream flavor, one of which will occasionally be produced for a limited time as a Red Hook location exclusive. 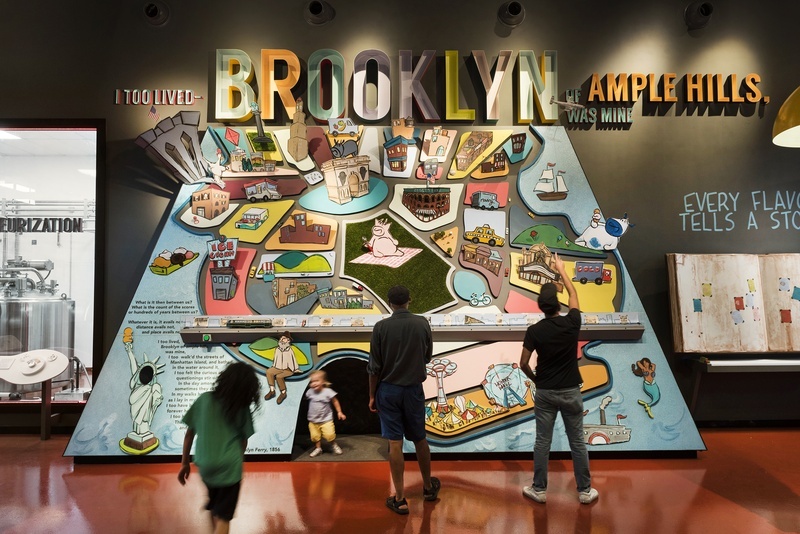 The back wall of the visitor space features a playful, wall-size relief map, a 22-foot, 3D sculpted surface populated with iconic Brooklyn images and Ample Hills Creamery mascots. The wall includes a climb-through tunnel representing the Brooklyn-Battery Tunnel with a secret scene inside, and a face cut-out in the Statue of Liberty for young visitors to enjoy and use for photo opportunities. 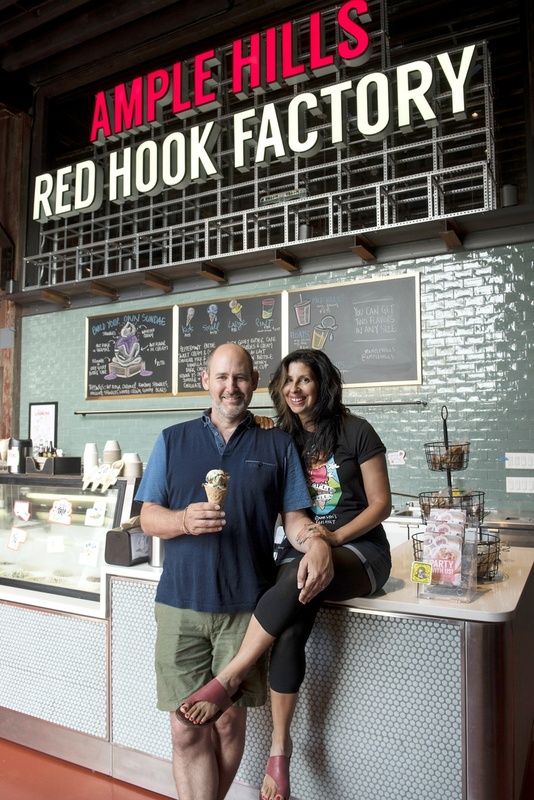 The map also features current and past borough landmarks such as Grand Army Plaza, Ebbets Field and another interactive miniature model of the Red Hook trolley car. The Brooklyn name appears in large type above the map, with each letter playfully displayed in a random color. Video courtesy Chris Buchar and Robb Schandroff. Photo credit Liz Clayman.